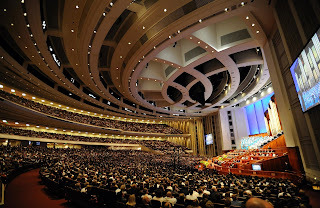 Well, it’s that time of year again, when millions will tune into LDS general conference, seeking to hear the word of God, get answers to their questions, and “feel the spirit.” With the world watching, those who speak bear a grave responsibility and heavy burden. How might one go about preparing for and discharging such a duty? Start 6 months in advance, and spend maybe 2 months deciding on a topic. Go through several false starts and stops until you settle on the topic you’ll prepare. Begin writing drafts to capture your ideas and thoughts. Maybe include something someone has written to you in a letter, or perhaps a poem, a snippet of fiction, or a current news item to help make your point. Continue through a dozen or more distinct revisions, as you run them past your staff, colleagues, and family to get ideas and insights about how well you’ve stated things. Rewrite your speech as they direct, to avoid causing controversy whenever possible. Maybe use polling or focus group studies to refine your message and ensure it will be well received. A negative message will not rate nearly as highly as a positive one. Next, run it through the correlation department to make sure you are doctrinally correct and in harmony with approved teachings. You should also let the PR department have a look so they can be prepared to head off any negative press and provide the right context for your remarks. Memes must be prepared for social media posts, and sound bites must be harvested for mass distribution. These all must be prepared in advance for maximum immediate impact. The memes will go up as soon as you speak. Hold a live event in a $450 million theater facility with metal detectors, security people, impressive music, a production crew of hundreds, bright lights, worldwide TV coverage, and simultaneous translation into dozens of languages (but not Hebrew!) A professional makeup artist will ensure you look good, and strict guidelines will ensure your wardrobe and appearance comply with costume requirements. The sacrament of the Lord’s supper will not be offered at this meeting, though His name will be invoked at every turn. You’ll invoke the name of Jesus Christ when you close, with its implicit claim that this process has resulted in you faithfully speaking His words. Oh…and after all that effort, if your statement results in bad PR, please don’t be surprised if your talk is significantly altered before it is published. It’s possible you might have to even re-record a new version of God’s word to comply with the wishes of those in charge. So wait, what? Just stand up there and say whatever the Lord puts into your heart? That’s a tall order for anyone. Doing so requires one who has treasured up continually the words of life in their heart; it requires that the speaker be filled with light and truth; it requires the spirit of prophecy and the spirit of revelation. Or in other words, a prophet and revelator—and those are hard to find. But Abinadi did it. Samuel did it. For that matter, so did Nephi, Lehi, Alma, Paul, John, Christ, Joseph Smith, and myriads of other true prophets, in a variety of ways. Benjamin declared the words an angel had given him the night before. Like his namesake before him, Nephi (son of Helaman) declared the words he got directly from the Lord, and he did so fearlessly. The result was that the Lord entrusted him with sealing power, even over the elements. Blessed art thou, Nephi, for those things which thou hast done; for I have beheld how thou hast with unwearyingness declared the word, which I have given unto thee, unto this people. And thou hast not feared them, and hast not sought thine own life, but hast sought my will, and to keep my commandments. And now, because thou hast done this with such unwearyingness, behold, I will bless thee forever; and I will make thee mighty in word and in deed, in faith and in works; yea, even that all things shall be done unto thee according to thy word, for thou shalt not ask that which is contrary to my will. Note the proof of Nephi’s faithfulness, as cited by God, lay in Nephi’s unwearyingness and fearlessness in declaring the word “which I have given unto thee.” Nephi first obtained God’s word, then declared it. Some of the best, most powerful, light-filled sermons I’ve seen or heard were given extemporaneously, by the Comforter, in the spirit of truth, as the spirit gave utterance. Those who claim the titles of prophet, seer and revelator would do well to demonstrate these gifts, or stop claiming them. When you spend months grinding a dozen talk revisions through committees to finally produce fifteen minutes of material, then by all appearances, the whole thing is simply an exercise in PR and image building through corporate speechifying. It sounds a lot more like copywriting than authentic revelation, and the resulting vacuous platitudes are so sanitized and generic, they become indistinguishable from Disney products. They may even contain Disney Stories. And though all the effort seems impressive, the fact that such an arduous process is required to produce an acceptable final product demonstrates the LACK of revelation involved. I’m frankly surprised that those calling themselves prophets will admit to their immense difficulties in preparing a conference address. I can’t find a single scriptural example of authentic prophets obtaining or delivering God’s word in such a manner. Joseph Smith dictated God’s word verbatim, and published it as scripture. First draft. Without memes, HeartSell, correlation, or months of revision. But he was a prophet, after all. And we have not seen his equal since. Those claiming to be prophets in our time, in no way measure up to the standard Joseph set. 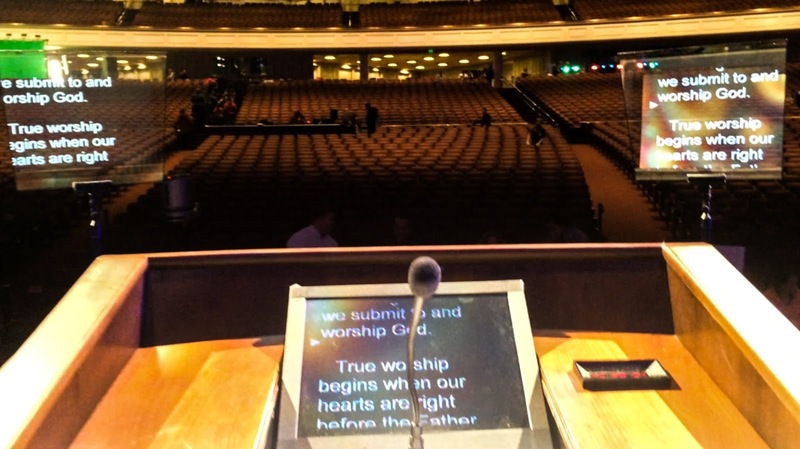 If you view the modern conference speakers as prophets, you must account for the difference. There’s no point in pretending they are the same. You’re only fooling yourself. Which brings us full circle to the present exercise. When one claims to speak as a prophet and demands his word be treated as God’s word, it’s incumbent on YOU to judge the matter. Get it right, and you’ll hear the voice of God. Get it wrong, and you’ll be misled down to destruction. It’s happening now, and the show is about to start. The months of arduous production work will culminate in inspiring speeches read from invisible screens. It’s up to you to judge the finished product. Is it authentic or just theater? Sounds great, right? But is it truth? What an embarrassingly accurate picture you paint! Well done! So is the "remnants" m.o.? Hold a conference; rip the other guys conference? Tiresome. My point is to raise the warning voice about the deception being foisted upon so many by those claiming to be prophets, but who are utterly devoid of prophetic gifts. I'm not ripping the conference; I'm ripping the content--by illustrating the process that creates it. And frankly, I could have said more than I did, but I held back to avoid coming across as too unbelievable. The conference addresses are not what people think they are, and they don't arise from the sources people think they do. I'll continue raising the warning voice as long as there are yet any who may awaken and arise. It is my obligation as a follower of Christ. Peace to you, SB. If the beliefs of the "remnants" don't resonate for you, why go to the trouble of casting your scorn at them? 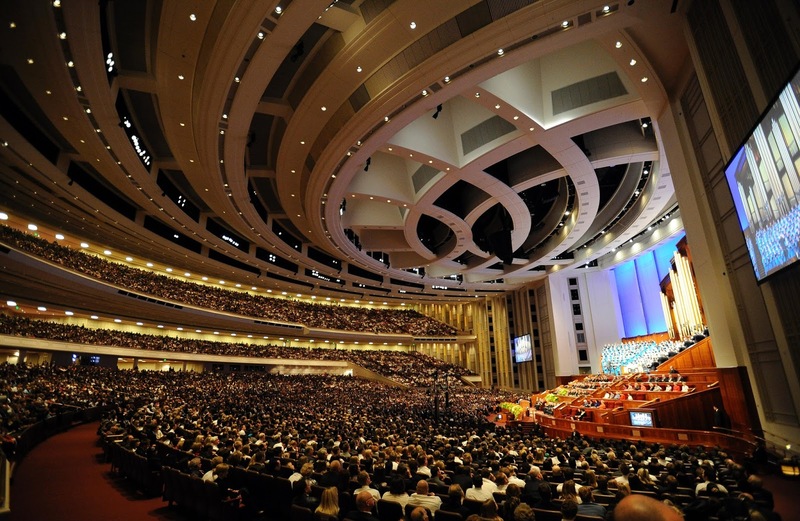 The modern LDS church is well-funded, well-organized and increasingly well-thought-of in the wider societies of the world. What have they—and by extension you—to worry about from a tiny group of seemingly misfit, malcontent and maladjusted human beings? On the other hand, should the spirit direct, you're always welcome in any of the dozens of fellowships springing up to worship Jesus Christ directly without anyone attempting to re-direct the loyalty we all claim to Jesus Christ, to our fellow human beings. Only Christ can save us. Remarkably, he will always allow us to choose to follow him or follow other human beings. Peace be to you Patty. I no longer attend the LDS church. Do the "remnants" all agree? Perhaps some of us find some things tasteless and tacky. Can we express our opinion or should we be silenced? Adrian- what are the "Prophetic Gifts" they are utterly lacking? I would suggest when answering this, not to hold Joseph Smith up as the standard, as I think he was the exception, one of the greatest and unlike most prophets of old and if you draw all of your prophetic gifts comparisons to Jospeh Smith, even Isaiah would seem lacking. Thank you for sharing this. On point and accurate. I think we all realize at some point that contrast is the only way to help others reach the truth that has been distorted. I know some feel that showing the LDS church up to be in the wrong is "leaving the church but not leaving it alone." But we are taught to wear out our lives bringing to light all the wrongs done to us. For many this effort is centered upon the LDS church where many wrongs have been done and are continuing to be done. When we are warned to feel the need to warn our brother. I am ever grateful to those who didn't leave it alone and helped me escape the brainwashing which spiritually crippled me for decades. Go ahead and express your opinion. It is a healthy thing. But don't try and stop others from doing the same. I'd be curious to know what else Adrian knows of the process that would make it seem "unbelievable". Adrian - you're so cynical! I can't believe how much time you seem to spend trying to discredit and bash the LDS Church. If you're so happy and content with what you're doing now regarding religion, why constantly try to discredit the Church with all your "insights" and "inside information" you claim to have? You seem a little obsessed with trying to justify your choices which led to your excommunication. Couldn't it be that his "insights" and "insider info" is what led to his excommunicatio?. It was the straw that broke the camel'a back. You're reading the situation completely wrong, but you're welcome to think what you want about me. As I've repeatedly written, I don't want to do this. I don't enjoy it. I take no pleasure from having to point this stuff out, nor from taking criticism from people too cowardly to even use their name. I'm only doing this because the Lord has asked me to. And I'll gladly obey Him. There are yet people who might wake up and seek the Lord if they can just be roused from their slumber. If I can help with that process, I'll do so--despite the time, labor and criticism it costs me. If you disagree with me, or consider that I'm just bitter, angry, or whatever, that's your judgment to make. Go in peace, and may you find a better source to assist you in your search for the Lord. I wonder in reverse. Why do you take so much time to judge and harass those who are doing what they feel the Lord wants them to do? Consider section 121 of the D&C ... I know you will want to apply it as you have been trained... but ask the Lord to help you see it correctly. It could change your life. Be careful. many of your "followers" don't use their real names either. Based on some of their comments, they still have one foot in and one foot out, neither fully committed to either direction. Either way, disingenuous to say the least. I think the question that anonymous and others have (and I could be reading into this) is why not preach the Book of Mormon and Christ to the world, rather than bash the LDS church, it's members, practices, teachings, etc. at EVERY opportunity rather than spread the good word? You make a good point, though you press it too far with your claim that I bash the LDS church at EVERY opportunity. Much of what prevents people from accepting truth is the accretion of false tradition so thick and pervasive that people are, quite literally, incapable of considering anything outside the false traditions they've been handed. It takes a fair amount of effort and elbow grease to scrape away the barnacles and get to the hull. As for the topics I address, I don't pick them. I do what I'm asked. I'm serious when I say I didn't want to write these last two posts. I would much rather do as you suggest and share a positive message. I hope to be able to do so more in the future. As Nibley said, nobody likes being awakened from a deep sleep. It is violent and abrupt. It feels like an attack. What if, hypothetically speaking, the truth is that these men/women who speak in the name of Christ, actually do not spend hardly any time at all even picking their topic and even if they do what if they have assistants who actually do it for them? I was told once that the general authorities don't even have time to study the scriptures let alone write talks. So they have assistants who do that for them (coming from someone who was in close association with some of the twelve and general authorities). These people put up a great facade, so well, to fool even the best of us. A very good point Adrian makes is whether they are preaching by the Holy Spirit or not (even if it's truth). Satan can preach truth too. As Adrian also points out it is up to us to judge the matter and judge it correctly (or be damned otherwise). We all need to plead with God for Him to testify to our souls by the power of the Holy Ghost if what anything in conference is being said by the Spirit of God or by another spirit, especially if it is being proclaimed in Christ's name. Don't just take it at face value. You raise a disturbing possibility, Anonymous, October 4, in your hypothetical scenario of speech writers creating talks delivered in General Conference. 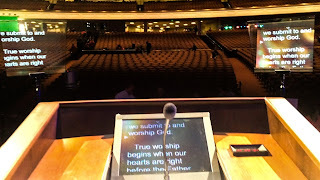 Speech writers are standard procedure in business and in politics, but do we really want speech writers speaking in the name of God through the leaders of the church? It matches nothing we read about in scripture. I read the back story once of one of the most powerful conference talks ever delivered that matches your scenario and adds a couple of twists, Anonymous. In the waning days of Ezra Taft Benson’s presidency, Elder Gordon B. Hinkley got up in April conference of 1989 and read President Benson’s last prepared talk called, “Beware of Pride”. The sermon was rich in insight and metaphor and was a powerful call to humility and repentance. I’ve used quotes from the talk in Gospel Doctrine lessons and talks in sacrament meeting. According to a Benson family member, however, President Benson didn’t write “Beware of Pride”—one of his daughters-in-law did. Impressed by the pride in her family she wrote “Beware of Pride”, borrowing liberally from Christian writer, C.S. Lewis’ masterpiece, Mere Christianity, from the chapter entitled, “The Great Sin”. Sadly, neither Lewis nor Sister Benson were credited with what was uttered by Elder Hinkley and attributed to the president of the church. C.S. Lewis probably got a good chuckle up in heaven watching his writing being presented as the inspired word of God through the LDS prophet. The talk—as well as the source material—is still timely and fresh but not a product of the mind of Ezra Taft Benson. While Lewis probably would reject the title of “Honorary LDS Apostle” he probably has long claimed the role of a disciple of Jesus Christ. Your tone between the October 4 comments, Anonymous, and those of October 5 suggest a great reason to use something besides “Anonymous” in commenting. Either you’re two different folks with differing points of view or you’ve experienced a moment of divergence from the first comment to the second. There is no harm in confusing one of you for the other but it can be a challenge to keep the conversation in focus should it extend much further. The "Benson family member" you are referring to is Steve Benson, Pres. Benson's granson. Evidently you think of their task as one of privilege more so than responsibility. I think you underestimate the great burden they bear on their shoulders. Those GAs are 'groomed' and are given a list of things they have to do to qualify to be a GA. This was told to us from Vaughn J. Featherstone. He told us that everyone who reaches the top ranks has to be a Shriner/Mason. He told us they had to have a large income as well as extra curricular activities to prove themselves ambitious enough and successful enough to be a leader of the church. In all his listing of qualifications, not once was personal righteousness and spiritual acuity mentioned... it made us wonder. We used to go to the dinners with the prophet and apostles around Christmas time... where we were allowed to chat and visit during an hour before dinner time. We also knew some personally, as well as being related to most... because of that qualification of coming through certain genealogy lines in the years before PC was added to the must haves..
Do I sound cynical? It comes from living and working in the church in Salt Lake. Yes.. I worked for the church in the offices up there in SLC as well as in BYU and my husband worked for BYU. We had personal experiences with many of the GAs.. Much to say here... but let me stop here with just one more added experience we had... it concerned the way to make money... big money. The corporate corruption begins in the chamber of commerce.. which was one of the requirements mentioned to us by Vaughn J.... and once you have become a member there they can and do recommend those they want to co-op with to join the Masons. Once they reach the 33rd level in the Masons... well then it is a whole new ball game. Sorry, but this sounds like absolute B.S. And, I don't mean Baloney Sandwiches, either. Other than a "trust me, Vaughn J Featherstone said this", there is nothing to make me believe a word you have said. 33 degree masons? What would the point be in being a 33 degree mason, which is an HONORARY degree within the Scottish Rite. Nope, sorry, not buying a word of this. The LDS church MIGHT be corrupted, but not because it's supposedly populated (at the top) with masons and members of the chamber of commerce. I would try and convince you... but I was educated the hard way... and I think it is the only way... experience. Michael you should learn more about what a shriner is. I googled it and found some info. But I received my information about the 33rd level and shriner and Islam from someone who was actually in it and in the know. This person is a life long family and friend... in high places. You will either have to go on disbelieving me or find out the real scoop for yourself. Too many of the comments and therefore conclusions posted by many on this blog are gossip & hearsay. Sandra, for example you state you've had personal experiences with the GA's but you don't share those and only share the unfounded gossip? You put more faith in the stories you've heard than in common sense. Patty, according to a Benson family member, Joseph Smith and the Book of Mormon were both frauds! Your source is not trustworthy. Remnant ... I'm sorry I didn't give a complete life's story. My husband and I have considered writing a tell all book.... would be over 300 pages volume 1-10... as I am already a published author. I even wrote some short stories and had my stake president read them. He sent them to SLC and set up an interview/recorded to get us set up for excommunication. Long story short the Lord told me what to expect and how to counter what he had been setting up and we were not Xed. However, I prayed about the book each time I added a new story and was told that the Lord knew all of these things and I didn't need to write them up at that time. Doesn't mean there won't come a time and I will be sure and send out notices for everyone to go and buy my books... okay? Also Remnant.. gossip is telling tales that are exaggerated or have no other value than a social input. I take the exposing of wicked practices seriously. It isn't gossip. It is information. Too many LDS, and I was one, take what is being done behind closed doors as none of their business though it negatively effects their lives in ways they can't fathom. When an LDS members finally wakes up and starts seeing the truth, they become very upset because suddenly they realize what had been done to them and their children and other family members. Those who take to pointing fingers with labels like gossip, and hearsay, are blinded. I pray they begin to see because I know how wonderful it is to be able to actually see the truth of all things. I decided to post my first name for the record in response to comments on what I said "hypothetically speaking". The other Anonymous was not me. Whether what I've said was hypothetical or hearsay or not is beside the point. Many of us who have been awakened to truth have gone through a grieving process, if you will, pertaining to the church and the Church leadership. Many of those men I have held in deep regard for most of my life. Unfortunately I have learned over the past couple years they are the Pharisees and Sadducees of our day. No different than Christ's day. The LDS church has no more power or authority than any other church. Their claim on priesthood is null and void and they, the Church leaders, have done that themselves. God gave them an opportunity and they rejected the truth. They are all a part of the "great and abominable church". Hate to say it, but it's the truth, whether you agree or not. Either we wake up and seek Christ on our own, since He is the keeper of the gate and is the only way to salvation, or pretend that a man or men can save us and go down with a sinking ship. Do their words bring you to Christ and repentance or do they make you feel warm and fuzzy all over therefore you assume it's the Holy Ghost, which it isn't? Is what they say being testified to you by the Holy Ghost with a burning in your bosom, do you see things in a new light, have the scriptures been opened anew to you, do you have pure intelligence flowing through you as they speak? If not, then they do not speak the words of Christ and therefore what they say will only damn you. The Doctrine of Christ is plain and simple 2 Nephi 31 & 3 Nephi 11, of course it is throughout the Book of Mormon if you take the time to really read and study it. BTW we are still under condemnation since 1831 for taking that book too lightly. The Doctrine of Christ is what we should all be living and hearkening to, but the LDS church squashes the idea of baptism and rebaptism & even punishes those who are trying to live it. Why? Why do they preach more and less than the Doctrine of Christ when Christ clearly states anything more or less "cometh of evil"? Yes, the LDS church does both. Christ is calling to us each individually, can we hear His voice? Do we know the voice of the Good Shepherd? God has sent a messenger and he has proclaimed truth but he does not come from the rank and files of the LDS church First Presidency, Quorum of the Twelve, or any of the General Authorities of the church. He is a messenger like John the Baptist, Abinadi, Samuel the Lamanite, a virtual nobody; however I can hear the Master's voice in his message. I do not hear the Master's voice in those who speak in a General Conference. "He that hath ears to hear, let him hear" Matt. 11:15. Thank you, Paula. I feel like I could have written the same post myself. Well said, Paula. The Doctrine of Christ is exceptionally simple and clearly-defined. I love how the Lord even cautions the ambitious, those inclined to priestcraft and dominion in the name of God to beware, for anything more or less than his doctrine is corrupting, ineffectual and places them at odds with the Lord himself. It calls into question their claimed authority and any saving ordinances they might direct. Brian Ashton’s talk on the subject from General Conference last week was a gallant effort to interest the audience in this most vital of truths. If I were in his uncomfortable shoes I would’ve been tempted to simply read the four verses defining the doctrine of Christ, testify to their truth and sit down! Although I doubt it was his intention, his message seems to have inadvertently diluted the laser-like clarity of the doctrine he labored to teach. All of us in this conversation are much more similar than we might guess. All of us desire to do the right thing as we understand it. All of us probably want to make the world a better place after the manner of Jesus Christ. Compared to our savior, though, all of us are, in the words of Moses, “nothing” and in the words of Helaman, “less than the dust of the earth”. To more light and truth that we might let Jesus Christ make us into something good. What Have You Against Being Baptized?